What's the most Chinese city in the 'Western World'? View Poll Results: Most Chinese city in the West? I want to see pictures of mass Chinese style buildings in Vancouver. I could show you pictures of Shenzhen with no recognisably Chinese-style architecture (traditional that is). I guess it makes it less Chinese than, does it? 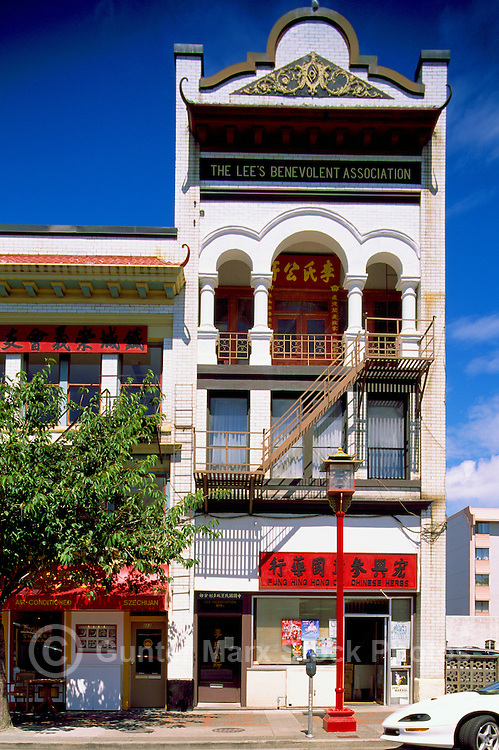 What does "Chinese-style buildings" really mean in this day and age? I mean most Chinese cities just build non-stop glass and steel highrises(or even westernized suburbs) these days... They aren't building red roofed pagodas in 2013 except for tourist attractions in China(or American Chinatowns). The one thing you'll see all over residential Vancouver(and Richmond) is where Chinese or Taiwanese immigrants tore down an old modest craftsman home and built a much larger house that occupies more of the site--and is built according to Feng Shui. Often the older houses face the street, yet the Chinese-built house will face a different way to align to Feng Shui. Marble House - Chinese Tea House | Flickr - Photo Sharing! Have you been to any of the cities mentioned? Culture in the West is becoming more Asian. Maybe not in Northern Ireland, but certainly elsewhere. Uh? Maybe in North America - but in Europe? Maybe the UK, with the Indians and the Pakistani, but the only thing I see is that our cities are becoming more mediterranean. None of them. The most Chinese city is Los Angeles, specifically the San Gabriel Valley - Monterey Park, Alhambra, San Gabriel, Rosemead, Temple City, San Marino, Arcadia, El Monte, Rowland Heights, Hacienda Heights, Walnut, and Diamond Bar. There really isnt any city that is even remotely chinesse. I mean we have china towns all over the place but overall the structure of the cities are western. A World War 2 veteran and a railroad worker represent the contributions made by Chinese Canadians to a united and prosperous Canada. The symbol for centre in the middle represents the Chinese culture. I'd argue that Vancouver's historic Chinese buildings are not proof of this community's present importance in the cultural mosaic of Vancouver, although I will say that Vancouver 's modern architecture has a sort of 'Pacific Rim' influence that one also finds in modern architecture in China, although they are of course not exactly the same, Vancouver is more Chinese than any other Western city but it is certainly not dominated by Chinese culture, they are not even a majority. I do think there is some influence, however. Anyways, if you want to see some nice historic style Chinese architecture in the lower mainland regardless, check out this baby! Last edited by BIMBAM; 02-25-2013 at 02:37 AM..